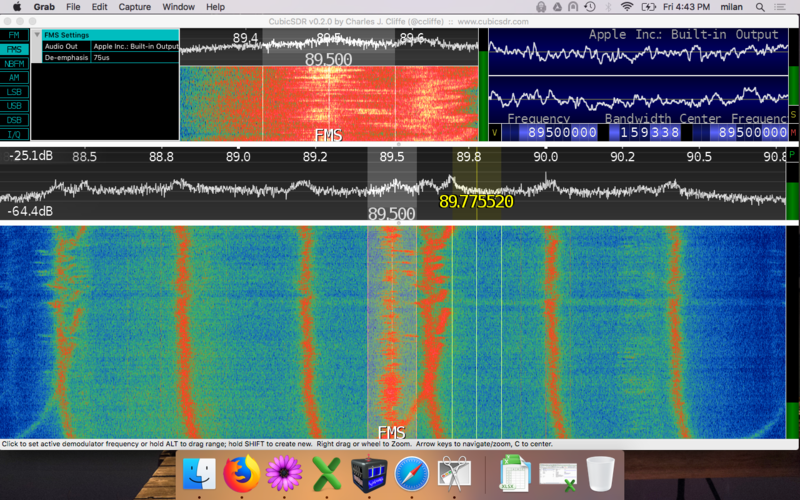 Software defined radio (SDR) is one of the things I am most curious about. There is just so much data being exchanged via radio these days. It’s strange to think about the constant complex pattern of broadcasting happening all around us. It’s pretty cool that he is able to identify and analyze Chinese over-the-horizon RADAR. It shows some of the possibilities SDR opens up for hobbyists. Much of the hardware required to seriously experiment with SDR is expensive. 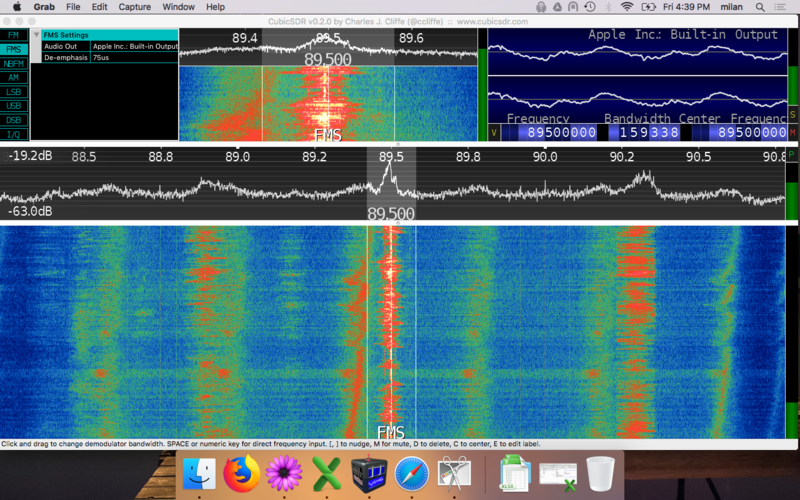 Interestingly, though, someone has figured out how to do the job for the 64-1700MHz frequency band using an $11 digital TV tuner chip. You could do some very cool stuff with this: set up your own infrastructure independent computer networks, explore what sort of communication is happening around you, conduct intrusion detection (looking for interception devices broadcasting), and experiment with the security of your hardware, such as the Bluetooth chips in your phone and laptop. A software-defined radio system, or SDR, is a radio communication system where components that have been typically implemented in hardware (e.g. mixers, filters, amplifiers, modulators/demodulators, detectors, etc.) are instead implemented by means of software on a personal computer or embedded computing devices. While the concept of SDR is not new, the rapidly evolving capabilities of digital electronics render practical many processes which used to be only theoretically possible. Software radios have significant utility for the military and cell phone services, both of which must serve a wide variety of changing radio protocols in real time. In the long term, software-defined radios are expected by proponents like the SDRForum (now The Wireless Innovation Forum) to become the dominant technology in radio communications. SDRs, along with software defined antennas are the enablers of the cognitive radio. The Phi hopes to do for radio what Apple I did for computing—spark innovation. In 1976, two shaggy-haired college dropouts founded a company called Apple to manufacture personal computers. The company’s prospects looked so poor that the third co-founder relinquished his 10 percent stake in the company for $800 that same year. It simply wasn’t clear why anyone would want the firm’s Apple I computer. It was so under-powered that it couldn’t perform many of the functions of mainframes and minicomputers that were already on the market. And most consumers had no interest in having a computer in their homes. Today, of course, Apple is the world’s largest company by market capitalization. What was important about the Apple I wasn’t the meager capabilities of the original version, but the promise it held for rapid innovation in the coming decades. Now, a company called Per Vices hopes to do for wireless communication what Apple did for computing. It is selling software-defined radio gear called the Phi that, like the Apple I, is likely to be of little interest to the average consumer (it was even briefly priced at the same point as the Apple I, $666.66, but has since been placed at $750). But the device, and others like it, has the potential to transform the wireless industry. This time, the revolution will depend on hackers enabled to manipulate radio signals in software. A working USRP system comes in three parts: the main USRP box, an RF daughterboard, and a computer. The daughterboard handles the actual reception of radio signals, and passes the analog signal to the main USRP unit. 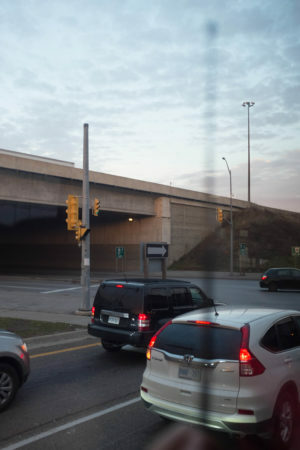 Ettus explained to us what happens from there. “First it converts the analog signal to digital. Then the digital signal is sent to a field-programmable gate array. The FPGA does the high-speed processing and the user can modify it and put all sorts of interesting things in there. In the most basic configuration, the FPGA reduces the sample rate, does some frequency translation, and then sends that out over the interface” to the CPU. The interface that connects the USRP to the computer is the main thing that distinguishes the various USRP models from each other. The cheapest model (costing $650) delivers the data to the user’s computer over a relatively slow USB link. The priciest model (costing $1700) has a gigabit Ethernet interface. In between, the company offers an “embedded” model that includes a built-in CPU capable of running a full Linux distribution, which allows it to function as a stand-alone device. One reflector, which the NSA called Ragemaster, can be fixed to a computer’s monitor cable to pick up on-screen images. Another, Surlyspawn, sits on the keyboard cable and harvests keystrokes. After a lot of trial and error, Ossmann found these bugs can be remarkably simple devices – little more than a tiny transistor and a 2-centimetre-long wire acting as an antenna. 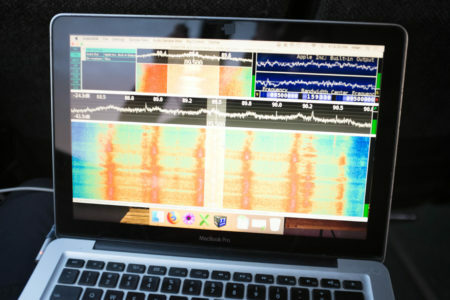 In the weeks since the reawakening, and with the assistance of both Arecibo and an array of giant radio antennae called the Deep Space Network, the Reboot Project team have been testing ISEE-3’s responses to commands and poking gently at the instruments on board it, to decide which are still working. This is not easy. Since the probe’s radio software was lost during decommissioning, the team had to improvise their own. That was made harder yet, because the craft has no ability to store computer programs. Commands must be sent one at a time from the ground, and each must be executed before the next is dispatched. To achieve all this, the Rebooters have built a special software-defined radio—one whose capabilities are instantiated in computer code rather than by the arrangement of physical components. The LimeSDR is based on Lime Microsystem’s latest generation of field programmable RF transceiver technology, combined with FPGA and microcontroller chipsets. These connect to a computer via USB3. LimeSDR then delivers the wireless data and the CPU provides the computing power required to process the incoming signals, and to generate the data to be transmitted by the LimeSDR to all other devices. The WR-G528e “CHEETAH” seems to be the latest piece of equipment in the pro line. A portable front end with coverage of 0.01 to 3000 MHz, the specs on the WR-G528e look very impressive. The Register is reporting that the EU is looking to block users from tinkering the firmware/software of their RF devices. This seems to have been very under reported, with a fairly short consultation period that has now expired. It could force manufacturers to lock down phones and routers etc to stop you from installing the likes of Lineage OS or OpenWRT. The way this is written it could stop devices like laptops or Raspberry Pi’s having their software changed.